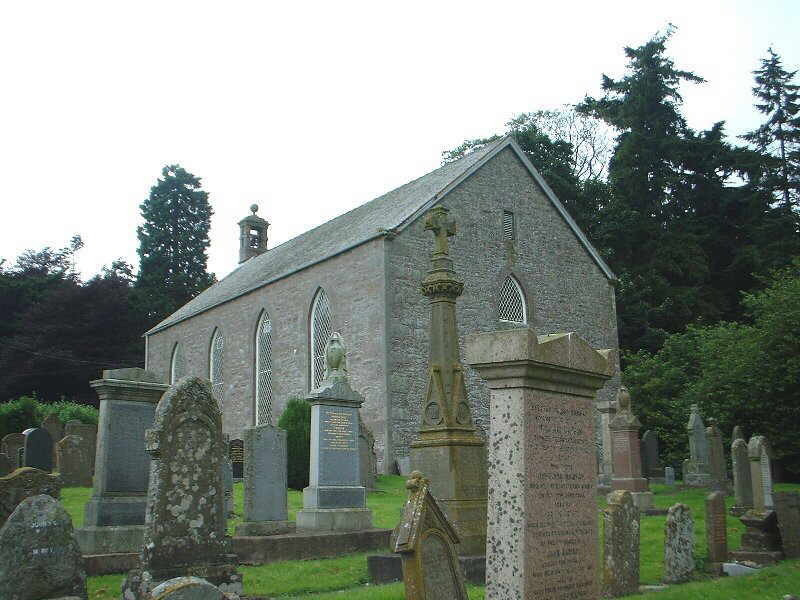 John Wilson (the mason) of Laws, presently the Scottish ancestral patriach of our Wilsons, was married to Margaret Bowman of Dunnichen pronounced ‘Dun-ik-ken’ – in November 1772 at Dunnichen kirk. A panorama of the Dunnichen farming locality is shown below, Dunnichen church roof barely visible on the far left. Limited research has been done on the broader Bowman family in and around Dunnichen, but it is clear there were several arms of the Bowman family in that locale and some are still there today. One possible linkage which has been tracked, but not yet firmly linked will in due course be set out in a ‘Bowman Chart’ on this page. The Bowman name has been repeatedly bestowed on successive members of the family down the generations since that time. Even today there are at least four living Wilsons of our clan who have Bowman as a middle name. An image of Dunnichen church where John and Margaret married is shown below.